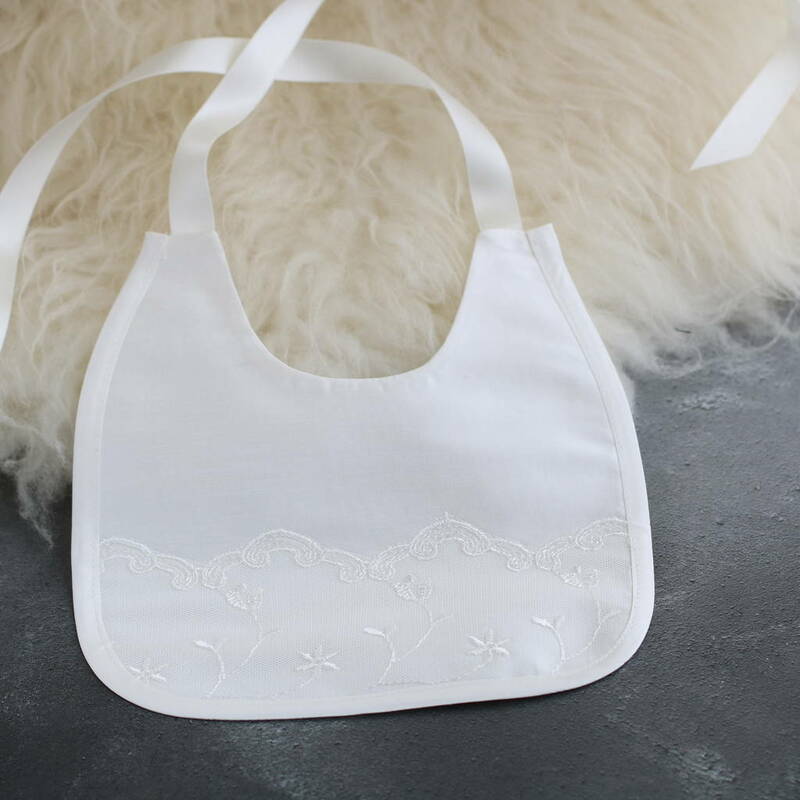 This is the perfect little bib to match our Ava and Isabella gown made from the same matching silk and lace. 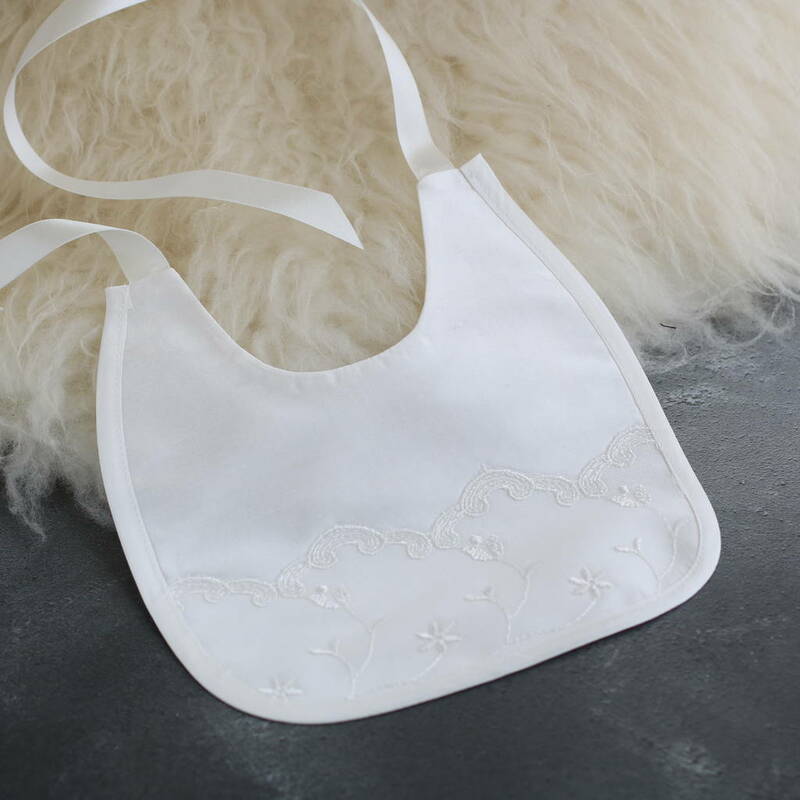 The edges are finished with a silk binding and has a soft cotton backing. The bib ties at the neck with satin ribbons and looks lovely teamed with any of our gowns. Available in sizes 0-6m, 6-12m and 12-18m.